Like many in the Twin Cities jazz community, I was shocked and saddened to hear of Christine Rosholt’s passing last week. I’ve posted a short remembrance of Christine below, and want to make extra note of the memorial and celebration taking place at The Dakota on Tuesday the 10th. Christine touched the lives of many, musicians and fans alike, so I am sure it will be packed, both on stage, and in the audience. On a personal note, I want to tell everyone of the new radio series, Saint Paul Live! of which I am the producer. It airs on KBEM every Monday night at 7pm. You can read Pamela Espeland’s article about the show on Bebopified. There will be a reception at 7pm Thursday, January 5 at the Artists Quarter to celebrate the launch of the show. All are invited. Now, on to this week’s suggestions. Mark Vanderhyde’s Fuzzy Math CD Release @ The Red Stag, NE Minneapolis. 10pm. 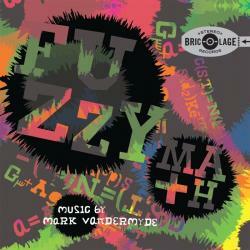 Pianist/composer Mark Vanderhyde has created a great little CD entitled “Fuzzy Math,” featuring original, contemporary material that swings quite nicely, with traces of Latin and world music. He’ll be accompanied by Jaxon Parvey, sax; Matt Peterson, bass; and Harald Bondaris, drums. If you’re up for a late night show, this will be the place to be. KBEM’s Saint Paul Live! Party @ The Artists’ Quarter, Saint Paul. 7pm (no cover). A gathering of musicians, friends and fans to celebrate the new radio series on KBEM that features two artists each week recorded live at venues around Saint Paul. The one hour show airs each Monday at 7pm. There’ll be excerpts from the series playing in the background. David Brattain @ The Artists’ Quarter, Saint Paul. 9pm ($5). After the Saint Paul Live! party (above), stick around for saxman Brattain, a fluid player with a warm sound. He’s a 20 year veteran of the Cedar Avenue Big Band, and has played with the JazzMN Big Band, guitarist Paul Renz, and has been featured with Ben Sidran. O’Keefe, Moriarty, Hansen & Seru @ The Black Dog Coffee and Wine Bar, Saint Paul. 8pm (tip jar). Pat O’Keefe, (clarinet); Pat Moriarty, (sax); Nathan Hansen, (sax); and Davu Seru (drums & percussion) create improvisatory fireworks at the community centered coffeehouse. Jake Baldwin Group @ The Dakota, Minneapolis. 11pm ($5) Jake is a terrific trumpet player who is studying at the New England Conservatory after spending two years in the Dakota Combo. This young player was a finalist in the solo competition of the International Trumpet Guild. He’ll be joined by former classmates who are also home for the holidays from music school – Cory Grindberg on bass, Joe Strachan on piano (another Dakota Combo alum), and Rob Fletcher on drums. 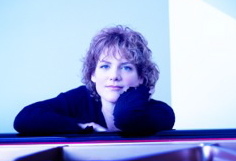 Laura Caviani Trio: From Bach to Bop @ The Artists’ Quarter, Saint Paul. 9pm. Pianist Caviani, along with Chris Bates on bass, and Phil Hey on drums explore the jazz possibilities of Bach, Shubert, Debussy, and other long dead European composers. They’ll also play music by Monk, Mary Lou Williams (a Caviani favorite), and an original or two, I’m sure. Zacc Harris Trio featuring Debbie Duncan @ Hell’s Kitchen, Minneapolis. 6pm – 9pm (no cover) The Twin Cities’ First Lady of Song, sitting in with guitarist Harris and his trio. Steve Kimmel @ The Hat Trick Lounge, Saint Paul. 9pm ($7) Steve Kimmel has been part of the Twin Cities jazz scene since at least the 70s, running the Rainbow Gallery, heading the Whole Earth Rainbow Band, composing for Nancy Hauser and working with Natural life. He plays piano, vibes, marimba and other instruments, and has recently begun to sing, with a penchant for Sinatra. The music room at the Hat Trick provides an intimate space for interacting with Steve and enjoying his music. Butch Thompson & Spider John Koerner and the Jack Brass Band on Saint Paul Live! @ KBEM – 88.5FM. 7pm Butch & Spider recorded live in a rare appearance together, followed by the fun-filled music of the Jack Brass Band. James Buckley Trio @ Barbette, Minneapolis 10pm (No Cover) Buckley is a bassist about town, playing in too many groups to mention, from pop to jazz to dub. Playing with Bryan Nichols on piano, and JT Bates on drums. Together, they create spacious jazz for the new century. Celebration of Christine Rosholt @ The Dakota, Minneapolis. 7pm. (Donaton) The many friends (musical and otherwise) of the late Christine Rosholt gather to express their love for the vivacious singer who recently passed from this existence. Performers will include: Tanner Taylor, Mac Santiago, Graydon Peterson, Dave Karr, Dave Jensen, Sophia Shorai, Nichola Miller, Arne Fogel, Katie Gearty, Kevin Hall’s Pazz Band, Five by Design, Maryann Sullivan with Doug Haining, Rhonda Laurie, Paula Lammers, and many more, I’m sure. dVrg presents Sophia Shorai, Ashleigh Still, & Chastity Brown @ Amsterdam Bar & Hall, 6th & Wabasha, Saint Paul. 9pm (No cover) dVrg (Devon Gray) is a piano player who is not only comfortable, but quite good in a number of settings (the hip-hop of Heiruspecs, chamber improv of Liminal Phase, jazz of Supreme Privacy). Tonight he’s presenting (& playing for) three singers that he has collaborated with from time to time. Sophia Shorai (jazz, pop, originals); Ashleigh Still (pop singer/songwriter); and Chastity Brown (acoustic soul/folk rock). Sounds like an imaginative, fun evening. Yemen Blues @ The Cedar Cultural Center, Minneapolis. 7:30pm ($25) A nine piece Sephardic ensemble co-founded by lauded jazz bassist Omer Avital, Yemen Blues melds traditional Yemenite melodies with blues, jazz, and funk. Using a variety of percussion and stringed instruments, along with a horn section, they create multilayered Middle Eastern grooves that have been bringing throngs to their feet from Berlin to Berkeley. Here’s a video to give you an idea of their performance. Malamanya w/Alma Andina @ the Cedar Cultural Center, Minneapolis. 8pm ($10) HIghly danceable acoustic Cuban music from Malamanya, and the folk music of Nothern Chile from Andina. When Malamanya recently played a late night set at the Dakota, the staff was overwhelmed with the number of folks who came out. It was the first time I ever saw tables removed to allow the dancing at that venue. The Cedar, on the other hand, has plenty of room. Johnny Rawls @ The Minnesota Music Cafe, Saint Paul. 9pm ($?) Contemporary deep blues from the South. Rawls served as music director for both OV Wright and Little Johnny Taylor before heading out on his own. 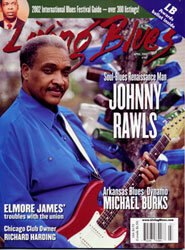 He has had a two top five hits on the Living Blues charts in recent years. In other words, he’s a true soul man. Gary Burger of the Monks with the Spectors, @ The 331 Club, NE Minneapolis. 10pm (Tip Jar) Gary Burger was lead guitarist for the Monks a mid-60s s garage band made up of five GIs in Germany that played an explosive mixture of feedback, distortion, and dissonance long before Jimi Hendrix or English rockers discovered the wah wah pedal. Theses proto punks made one album, “Black Monk Time,” and have developed a cult following, including musicians like Jon Spencer, the White Stripes, and The Beastie Boys. Steve Kaul of the Brass Kings took lessons from Burger. Burger will be playing with The Spectors, while The Conquerers and Floorshakers will also play. Bring earplugs and prepare to rock. Here’s a video of the Monks. About a minute or so into it they begin a feedback extravaganza. Julie Johnson & the No-Accounts @ The Black Dog Coffee and Wine Bar, Saint Paul. 8pm (tip jar) Julie Johnson plays flute. Doug Otto plays guitar and sings. Drew Druckery plays guitar, mandolin, and sings. Together, this trio creates a unique sound as they explore the historical folk songs of Minnesota. Otto’s warm, yet world-weary vocals can transport you back in time. Johnson expresses all kinds of emotions with her flute, whether playing a polka or a mournful tune about the death of a lumberjack. It’s not the folk music you may expect, but it’s definitely music you’ll remember. Jeff Ray & Friends @ Hell’s Kitchen, Minneapolis. 6pm – 9pm. (No Cover) Jeff is a blues & slide guitarist, with a bottomless font of talent. He attracts an equally talented group of friends to play with him. This entry was posted on Wednesday, January 4th, 2012 at 9:48 am and is filed under Weekly Preview. You can follow any responses to this entry through the RSS 2.0 feed. You can leave a response, or trackback from your own site.